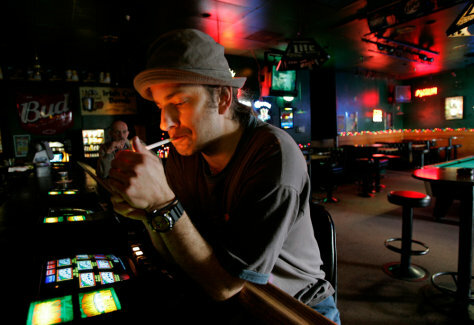 Musician Chad Madix lights a cigarette at the Favorites bar in Las Vegas on Feb. 7. The bar owner, Ray Medrano, had to make a choice: close the kitchen or ban smoking in the joint altogether. His customers love their smokes more than their food, so the kitchen lost.